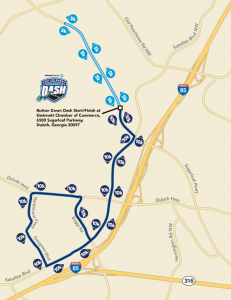 Toss your coat and tie, kick-off your wingtips, and get ready for a low-risk, high-reward race down Sugarloaf Parkway at the Gwinnett Chamber’s inaugural Button Down Dash Presented by Gwinnett Medical Center on August 11. Join us for this early morning run as Gwinnett races to become the healthiest community in the country. 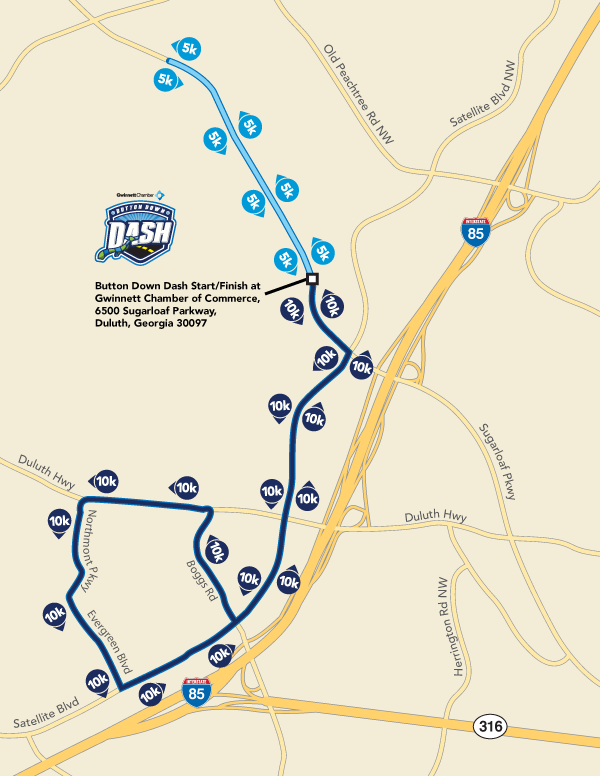 The 5k/10k run – benefiting local charities Children’s Healthcare of Atlanta, Dream House for Medically Fragile Children and Gwinnett Medical Center Foundation – is designed to encourage positive competition among businesses, co-workers, friends and family. Following the race, value-added festivities at the finish line will keep everyone in good spirits. Sponsorship deadline to be included on the T-shirt is Wednesday, July 25.